Leaky RV roof? No Problem! Check out these 7 Rubber Roof Coating Reviews to stop leaks! Have you looked at the roof of your RV lately? If not, you’d better get up there! The roof is one of the most important parts of your RV, so you can’t afford to neglect it. Not only does the roof protect you while you’re in your RV, it protects each component of the RV itself. Upholstery, electronics, flooring, storage, you name it, the roof helps protect it. Because of this, you’ve got to take care of that roof. One way is to add a protective coating. There are plenty of coatings to choose from, so we’ve narrowed it down to make it easier for you. Are you ready to get started? Here are seven RV rubber roof coating reviews. 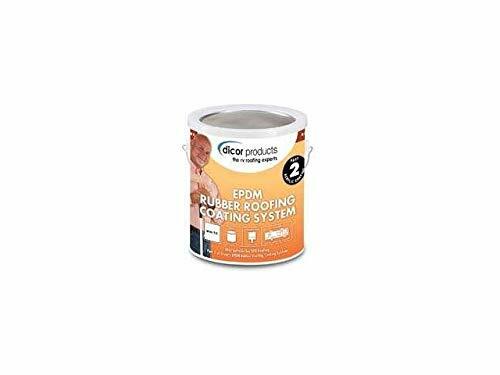 Designed for use over RV rubber roofs, at seams and tears and to seal vents, air conditioners, etc. Heng’s Rubber Roof Coating is great for protecting your RV from just about anything. It even resists UV rays, so you won’t have to worry about all those hours in the sun. And all you earth-loving travelers out there will love this fact: this coating doesn’t cause pollution! It’s also non-toxic, eliminating any worries about fumes during application. This rubber coating is thin, similar to latex paint, so it’s easy to spread. It’s also easy to clean up. One thing we love about this coating is its versatility. In other words, you can use it for things other than your roof, such as sealing vents. Do you have seams and tears that need fixing? This coating can be used for that too. This RV roof coating really goes a long way. A single gallon will cover 46 square feet of space! And it won’t wear off easily, either. The manufacturer guarantees that it will protect your RV for five whole years! So if you’re looking for a long-term option, this is it. To make things even better, curing time is minimal, only three hours. You’ll have to deal with a strong smell while it cures though, so you may want to steer clear of the area. Round this all off with easy application and you’ve got a great choice for protecting your RV. While this rubber coating may be pricier than others, the advantages it provides may be worth it to you. For example, you may love that a single gallon can cover around 125 square feet! This range is helpful, since you may want to apply two coatings. But you won’t mind since it’s so easy to apply and it will look fantastic when you’re done. When you use this product you protect your RV against all types of weather, even when things get severe! This premium quality coating gives you 60 square feet of protection per gallon. It’s perfect for camping in the summer since it will actually reflect heat away from the roof of your RV! Roll this liquid rubber on without any hassle and you’ll end up with a nice protective membrane. Resistant to UV, chemicals, and punctures, this is a great choice for protecting your RV. Clings to your roof in all temperatures. Mildew and algae resistant when cured. 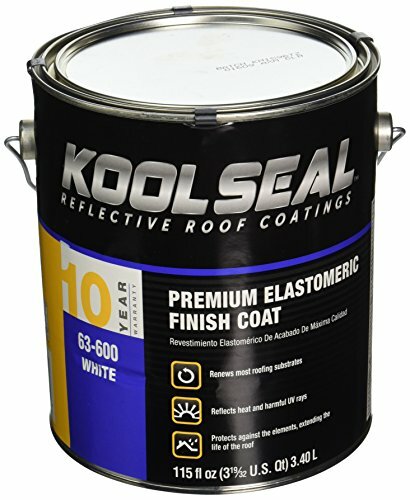 Another great option for all-weather protection is this Elastomeric Roof Coating from KST Coatings. It will withstand whatever temperature or weather it’s asked to go through! At least 90% of harmful UV rays will be directed away from your RV when you use this coating. And one application will last for years. If cured properly, this coating resists algae and mildew. 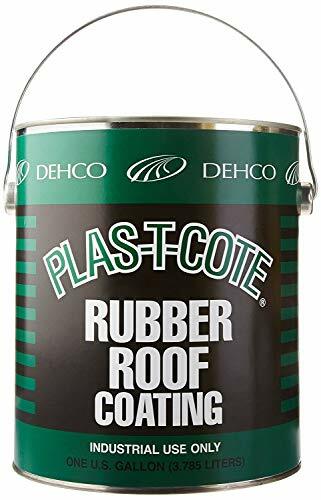 Newer on the scene is this roof coating from Dehco. While it may not have as many reviews as others mentioned in this article, it’s worth your consideration. Why? 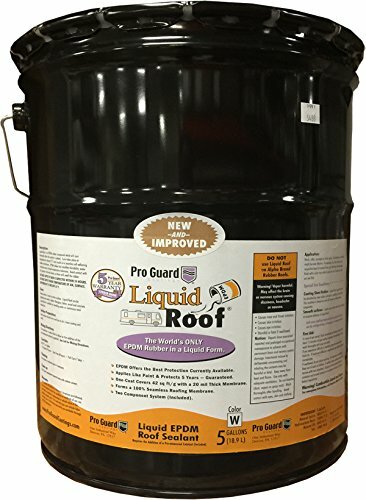 For one thing, one gallon can cover up to 200 square feet of roof! And it will seal leaks while it’s at it, too. Application is easy, allowing you to use a brush or roller according to your preference. Exterior/interior use on gutters, roofs, flashing, ductwork, PVC, masonry, concrete and more. If you’re looking for a high-quality product with a quick dry time, try this one on for size. This Rust-Oleam coating is touchable in only one hour! 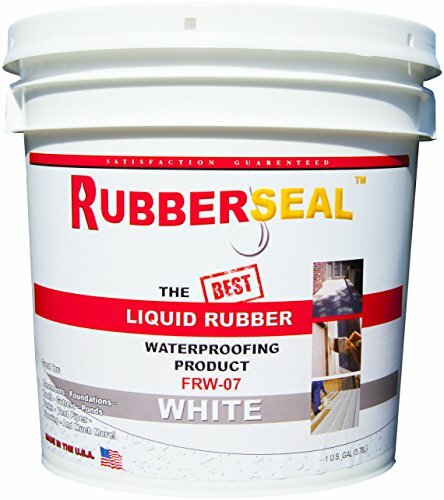 Cover up to 40 square feet with a gallon of this coating, and use it on your RV’s interior or exterior. 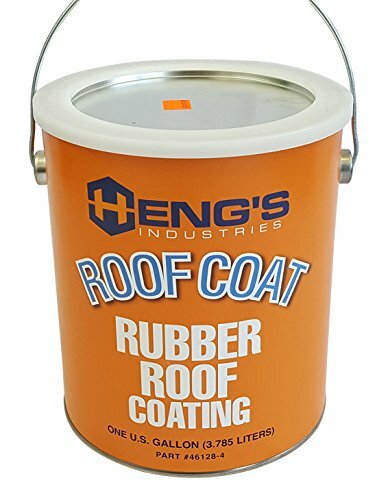 Apply it on gutters, roofs, concrete, and more. If you really want to have some fun, make your roof all your own. This coating is totally paintable! Have you ever wondered what your RV would look like with a bright orange roof? Well now’s your chance to find out. Just make sure you use latex or oil-based paint. 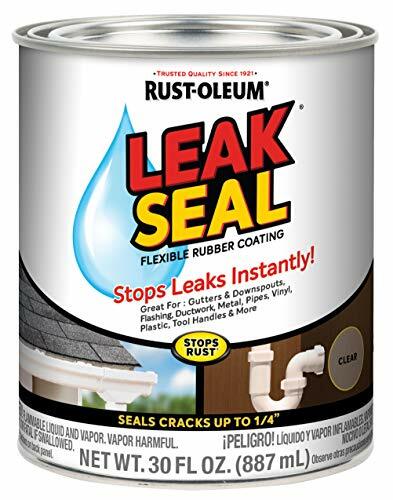 Apart from looking flashy and going a long way, this coating protects your RV from moisture and is great for sealing leaks and cracks. Your time and money are important, so you don’t want to waste them. That’s where RV rubber roof coating reviews come in handy. 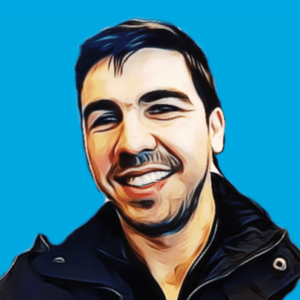 They’ll lead you to the best products in the shortest amount of time. Even then, you’ll have your preferences. So choose one or two coatings from this list and try them yourself. Keep track of what you like and don’t like until you’ve found a coating that’s perfect for your needs. While it may seem tedious, protecting your roof means protecting your entire RV, so just buckle down and do it! Keeping the rest of your RV’s exterior in tip-top shape is important too. Check out our article on the best waterless wash and wax cleaners for your RV.